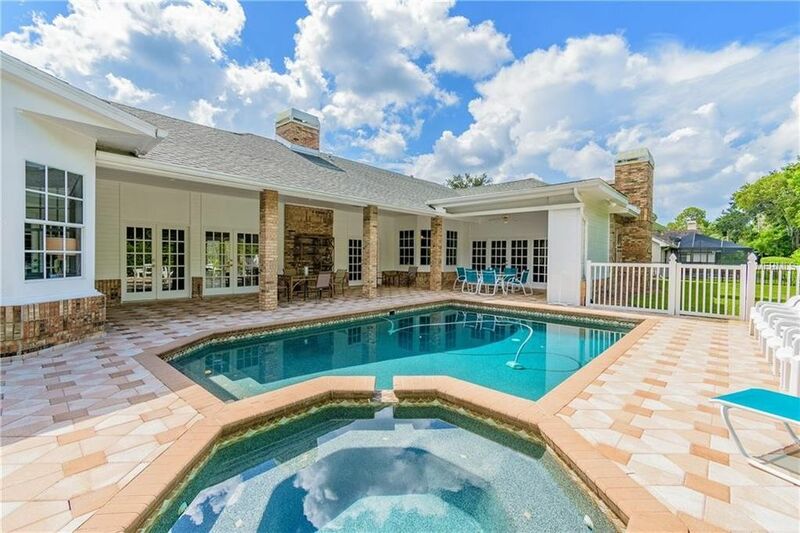 Price Reduction Beautifully remodeled, luxurious executive pool home located in the exclusive Eagle Estates neighborhood in the Countryside area of Clearwater. Impeccably landscaped corner lot with a great view of Chi Chi Rodriguez Golf Course. This spacious home features 4 Bedrooms, 3.5 Bathrooms and a 3 car garage. All the bathrooms have been totally renovated in 2018 with high end Ceramic Tile, Granite Countertops, White Shaker Cabinets, LED lighting, German Faucets and Fixtures, Freestanding Tub in the master and Frameless Shower Doors. There are 2 wood burning fireplaces located in the living and family rooms respectively. New carpet installed throughout the house(7/2018). Entertain your family and friends on the expansive resort style brick patio by the pool or relax in the built in spa. Convenient to shopping, restaurants, beaches and golf courses. Don't miss out on this unique opportunity.